There are some days when the last thing in the world I want to do is sit down at this computer and go online. It’s happening more and more lately. After twenty years of sitting at a computer with head-phones on typing medical reports for 10 to 12 hours a day, I’m enjoying my new-found freedom away from this computer! My job was eliminated nearly a year ago and it has taken me all this time to reach this point. At first, I hardly knew what to do with myself AWAY from the computer. Now, I LOVE being away from it, which is making daily blogging a bit of a task. Now, for the sake of maintaining some quality to my blog, my posts from now on may not be daily, but 3-4 times weekly. I’m not “leaving” or shutting it down. I’m just relaxing and out enjoying life more. With that said, here’s one place I was recently with a friend. It’s called Cano’s Collection in Cherry Creek. 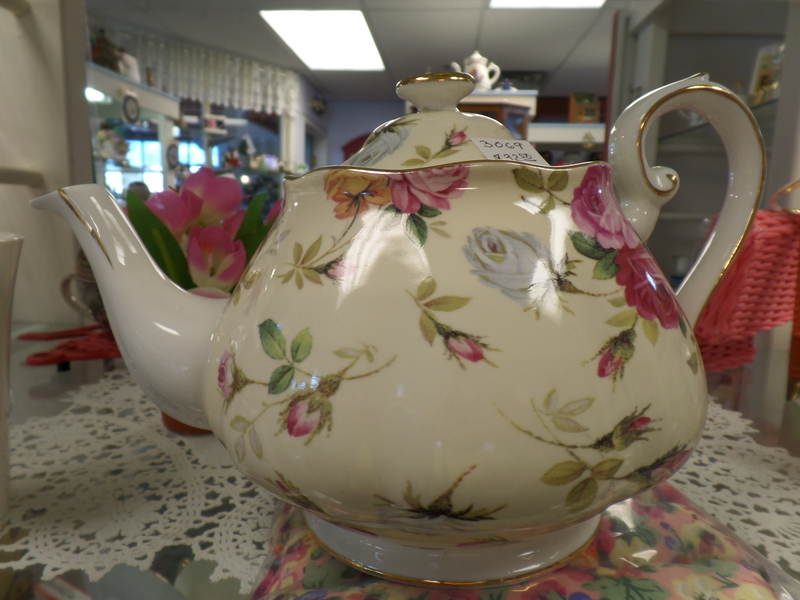 It’s a lovely Tea Shop and Gift Shop, quite small, with great food and atmosphere. Bob and Joyce are the owners and they have charming Welsh accents, as do many of the patrons who dine there. It’s quiet and relaxing and their scones with Devon cream and jam are fantastic. Unfortunately, I didn’t take as many pictures as I thought I had since my friend and I were having so much fun. However, I do have a few. 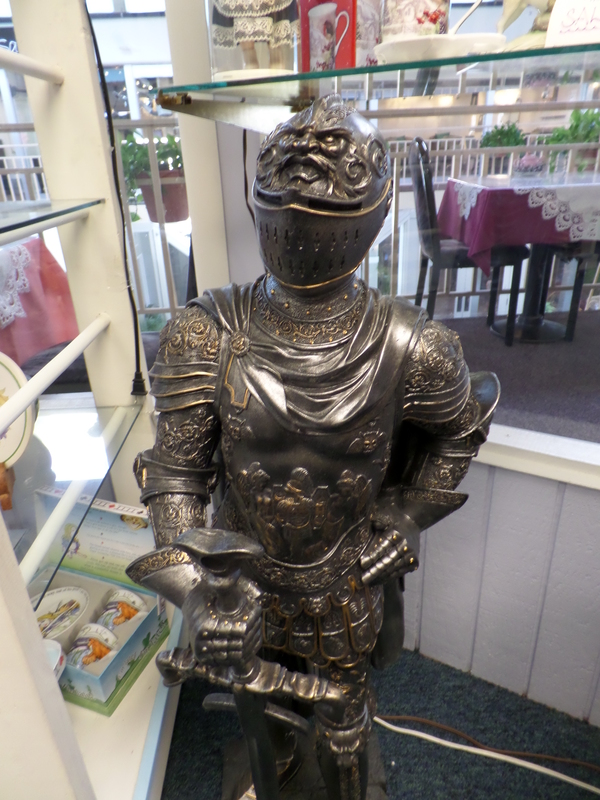 This fellow greets you as you walk into the gift shop. If you look through the windows, you can see the table with seating for two. All of the tables are outside the gift shop and most are for two only. 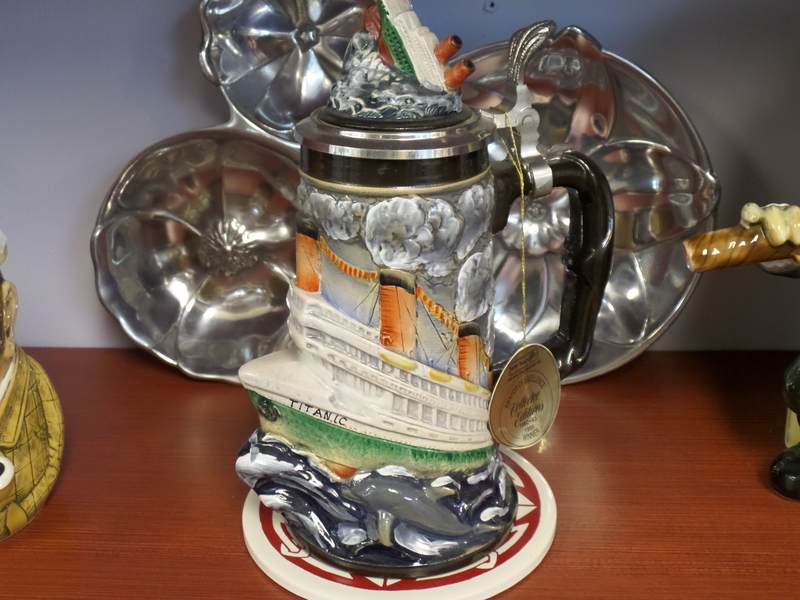 This stein commemorates the Titanic. I didn’t capture the detail very well, but it’s quite unique and beautiful. 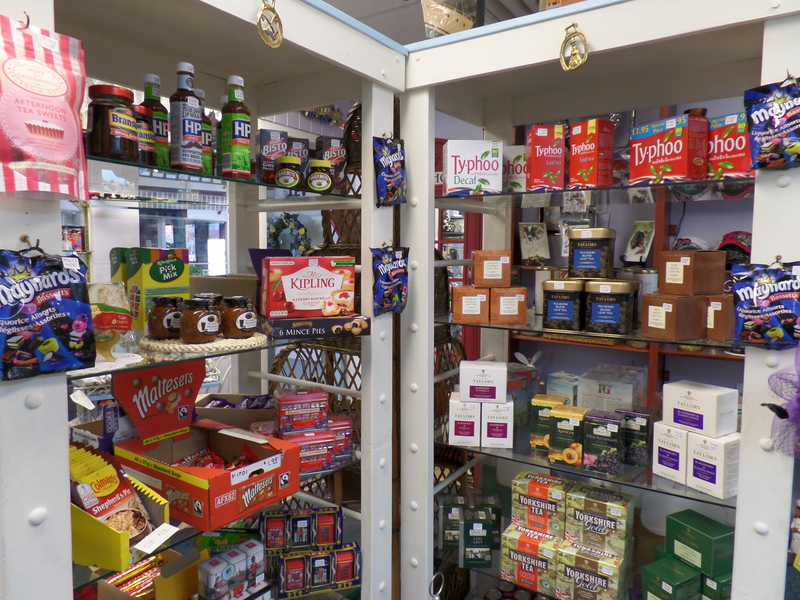 And then there are shelves of imported goodies like Typhoo tea and lemon curd. 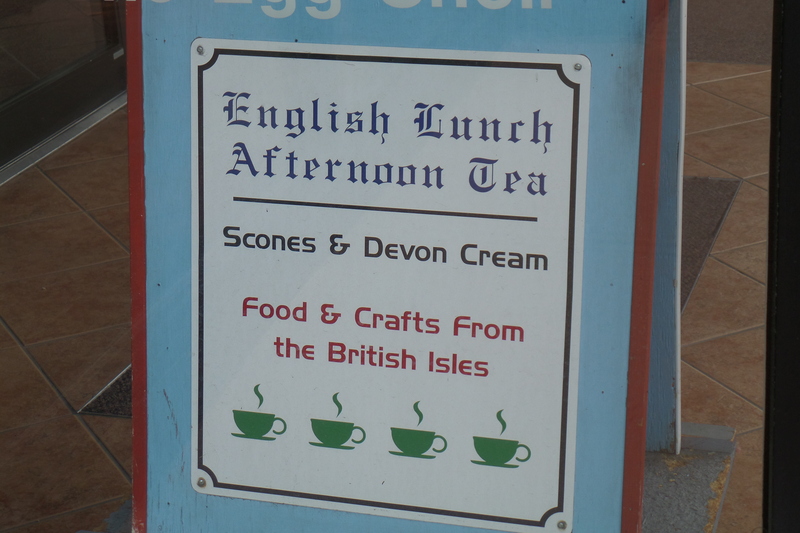 They also offer take-out of their scones, Devon cream, and other goodies. And I do LOVE teapots. Cano’s Collection, unfortunately, does not have a website, but you can get a bit more information here. The whole atmosphere of the place is relaxed and “quaint.” No one was on their cell phones the whole two hours we were there. And if you do go to Cano’s, I’d recommend the chicken pot pie. Oh, my, it’s good! Cano’s is located at 235 Fillmore Street in Denver and is a delightful get-away for a couple of hours of good conversation and simple, yet tasty food. Blogging should never get in the way of living. That looks like a great place to unwind over a pot of tea. Looks like fun! And today is one of those days that I don’t want to be at the computer! J, no one can fault you for not wanting to post every day! I can hardly figure out how those who do, do. 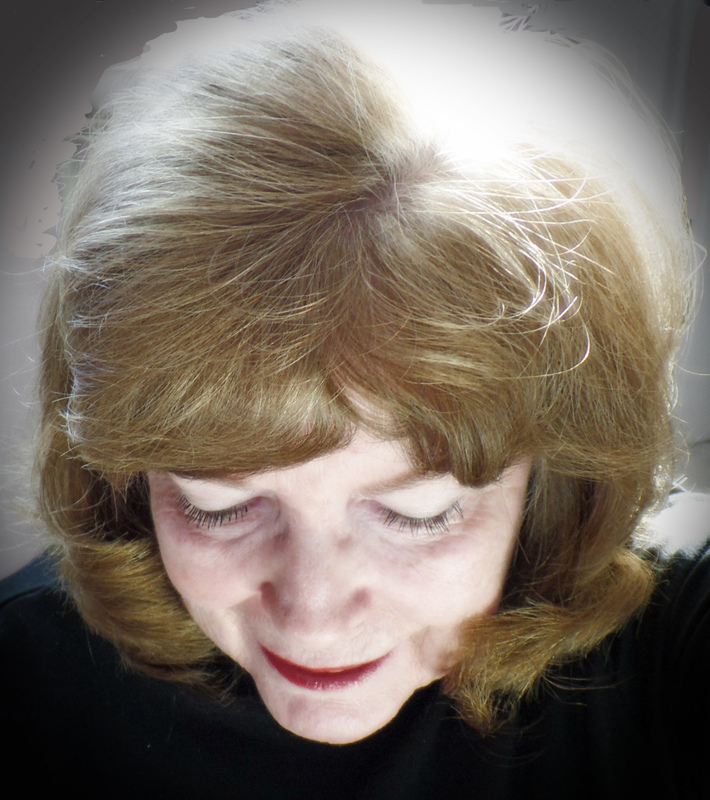 Blogging should be fun, not a chore! I look forward to reading when you feel the time is right for you to post! p.s. I LOVE a proper high tea! It’s one of my favourite things!